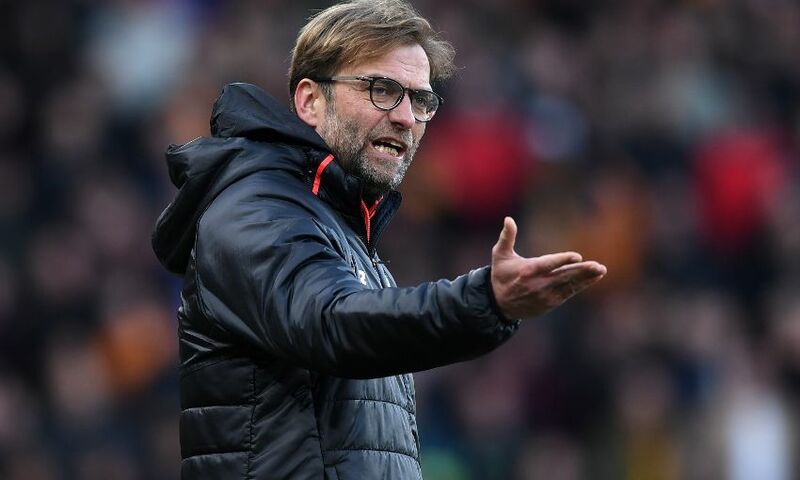 Jürgen Klopp admitted the manner of Liverpool's 2-0 defeat to Hull City on Saturday afternoon was 'difficult to accept' and insisted his side need to make changes immediately to recapture their early-season form. The Reds suffered a fourth Premier League loss of the campaign as goals in each half from Alfred N’Diaye and Oumar Niasse secured victory for the home side on a day to forget at the KCOM Stadium for the visitors. Afterwards, Klopp was forthright in his assessment of the game, expressing disappointment in particular at his team’s first-half display and acknowledging the need for improvement. I have done four or five TV interviews, three or four radio interviews, and usually after half an hour you feel better because you have no time to think about a lot of things after the game, and then you immediately start answering questions. But this time, it doesn’t feel better. The assessment? We gave easy goals away and we didn’t play the first half as we should have played, especially when you saw the second half. You think then if we’d played from the beginning like this, with this direction, speed, kind of greed and all that stuff, then I think it would have been more difficult for Hull to cope with this. We gave the first half away and from the result side, we gave the second half away. With the first half, we put ourselves under pressure in the second half. We had the chances, yes, but good goalkeeper saves, passion and defending from Hull in the 18-yard box and the six-yard box with a leg here, a leg there, a block here [denied us]. Then we gave an easy counter-attack away again and [it was] 2-0. We have to take all of the criticism. Not even a week ago in the press conference, I spoke about expectations at Liverpool and said, ‘Come on, it’s allowed to have a positive look on the situation, we are still fourth in the league’ and everything like this – but after a game like this, it’s not allowed to say something like this. We expect more from ourselves and we have to show more than we did today. It is my responsibility to make it possible for the players to show more than we showed today. A few things, little, little explanations, you could see – a lack of rhythm in a few players and all that stuff. A [half-time] break, however it is, always changes things, so the second half looked much more like it should do, but football under pressure is difficult. It is allowed to defend with a lot of legs in the box and that’s difficult. But Hull are not only a defending team – they played football and were able to, so there were spaces when we won the ball. We had these few moments but not in the right mood, especially in the first half. That’s difficult to accept. That’s not my biggest problem. I want to play much better football with my team. It’s not about where you want to be, you have to show what you should reach in a season. We showed it a few times, but obviously it [was] long ago we showed it consistently. This is, first of all, what we have to change, immediately. We need to show much more consistency than we do now on the positive side. The Champions League is an outstandingly big, big, big target. It’s fantastic and so many teams want to play there. To qualify for the Champions League in England is outstandingly difficult because of so many challenges – but after the performance of today, we don’t have to talk about this. We have to show now, really, that we are really ready to go for everything. I can say it, but it will not change a lot – we have to show it together. I have to watch the game again, I need to understand it better – especially the first half and what happened there. Both the goals really looked like presents in how we created the corner [for the first goal] and then of course the counter-attack for the second goal, it was not too nice to watch. There are a lot of things to do and as an overall statement, we have to change immediately. I don’t know, I don’t think so. All football performances are mixtures of everything – a mixture of confidence, of attitude, readiness, passion, a lot of things. I have to watch the game again, I have to see to understand more what was the reason, especially for the first half. I think again it’s not the first time in the season we put ourselves under pressure [so] that we then [had to] react in the second half. We showed the reaction and we put them under pressure and we could’ve scored, but still then if we win 2-1 today, I am still angry about the first half, 100 per cent. I said to you a few times, I am really interested in performance. Yes, I’m interested in results too, but I’m really interested in performance because you can build on performance. This week we had a really good performance [against Chelsea], but obviously we didn’t build on it, that’s obvious. So we will, and have to, take all the criticism from everywhere. We have to change it, immediately. I can still have a view from outside, even when I’m inside, but I don’t want to give the answer now. I don’t think so [that Liverpool have an issue with their attitude against teams lower down the table]. If it looks so from outside, I can understand that, if you have the record that we have against these teams and the record we have against the other teams. But I know the boys and I see them every day, and actually they don’t show anything of this during the week. That’s why I said, we have to show the answer, to give the answer on the pitch. It is not allowed, of course, for us. In the game, we produce our problems most of the time by ourselves. So, our mistake, my mistake, whoever – we have to show that it’s not like this, but we cannot show it today anymore. In a few days we have another opportunity to play football and we can show then that we are ready for all the other games, because it’s Tottenham, who are a top team in the league. I think it would make sense to play our best in this game and then we have to prove the other thing later in the season.